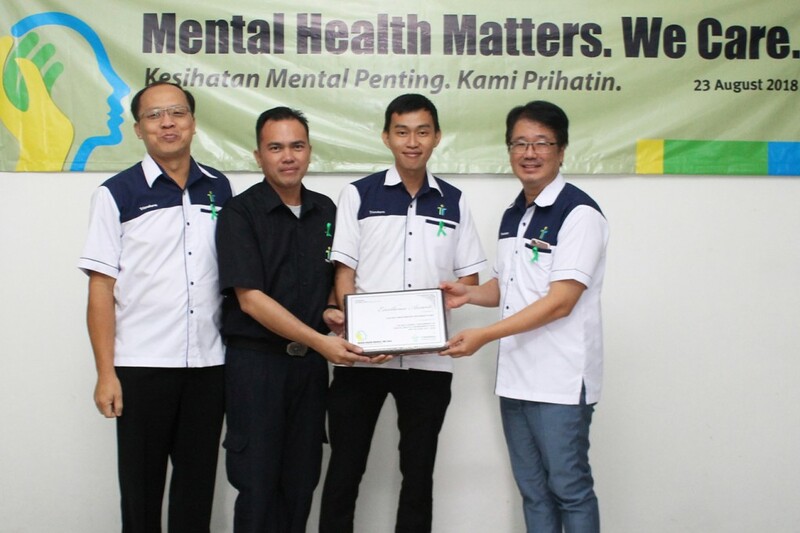 Trienekens’ HSE Week Focuses On Mental Health | Trienekens (Sarawak) Sdn. Bhd. CELEBRATING HSE… Trienekens’ staff, contractors and other invited guests group together at the company’s HSE Day in Kuching. 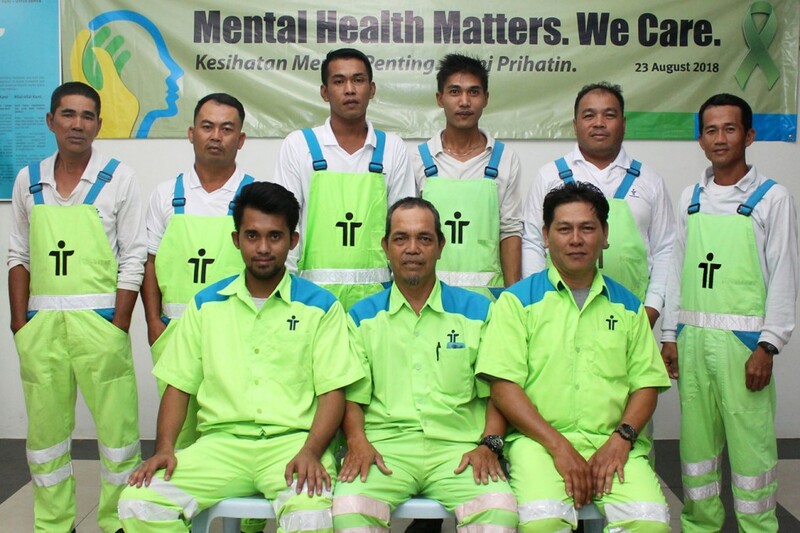 KUCHING: Employees of Trienekens (Sarawak) Sdn Bhd recently celebrated the company’s annual Health, Safety & Environment (HSE) Week, themed this year as “Mental Health Matters. We Care.” Focussing on the importance of mental health, organised programmes included a workshop on Mindfulness and Deep Breathing Techniques, a Staff Fun Run, Zumba sessions and free health screenings for its team members. The company organises and celebrates its HSE Week yearly as part of the company’s effort to continuously promote HSE awareness among its employees; culminating with a special HSE Day event at the company’s Kuching head office. Trienekens’ Group Chief Executive Officer, Stephen Chin officiated the event and later graced the presentation of Trienekens HSE excellence awards to outstanding groups and individuals for their past year’s HSE performance. The awards for “Outstanding Safe Team Performance (Municipal Waste)” were presented to (Team PHH424344) Muhd Hishamsyul Bin Mohd Johan, Nathan Paul Dio and Termizi bin Kamal; (Team MHH262728) Adi bin Abd Khaliq, Sapri bin Fadli and William Sawai; and (Team DHH363738) Suhaili bin Yusuf, Affendi bin Azman and Kasuma bin Osman. The award for “Outstanding Safe Driving (RoRo) Performance” award was presented to Halmai bin Ogik, while the individual award for “Outstanding HSE Performance (Bintulu Branch)” went to Joelius Basil Patrick. “Outstanding Safe (Municipal Waste) Team Performance” award winners (seated from left) Muhd Hishamsyul Bin Mohd Johan, Suhaili bin Yusuf and Adi bin Abd Khaliq with (standing from right) Sapri bin Fadli, William Sawai, Nathan Paul Dio, Termizi bin Kamal, Affendi bin Azman and Kasuma bin Osman. From the Kuching Integrated Waste Management Park (KIWMP), Roma Duning received the “Outstanding Safe Performance in Non-Scheduled Waste Operations” award, while Rolland Gali was presented with the “Outstanding Safe Performance in Scheduled Waste Operations” award. Meanwhile, the awards for “Outstanding Safe Long Haul Driving Performance” were presented to Roger Lunggan, Awang Helmi bin Awang Putit and Jensoray Sepia. “The Green Synergy Award” recognizes the best overall performance by participating Divisions in Trienekens’ in-house environmental awareness programmes. Trienekens Bintulu Branch received the award for achieving the best ovverall performance in the three main Green Synergy programmes – Recycling, Energy Saving and Fuel Efficiency. A special award for achieving 1,000,000 Safe Man-Hours without any Lost Time Injuries (LTI) for the year 2017/2018 was presented to the Kuching Logistics & Services Division; while the coveted “Best Overall Performance in HSE” award went to the KIWMP Leachate Wastewater Treatment Plant. Sub-contractors Swee Cheng Construction, Petrojadi Sdn Bhd and Toh Ah Kaw Contractor Sdn Bhd also received certificates of appreciation for their outstanding safe work performance throughout the past year. Trienekens organises and celebrates its HSE Day annually to recognise, reinforce, improve and strengthen HSE knowledge, understanding and skills among employees, besides providing a platform for information sharing with its customers, business partners and associates.